I picked up several of these pretty polishes already and think I want a couple more based on your swatches. 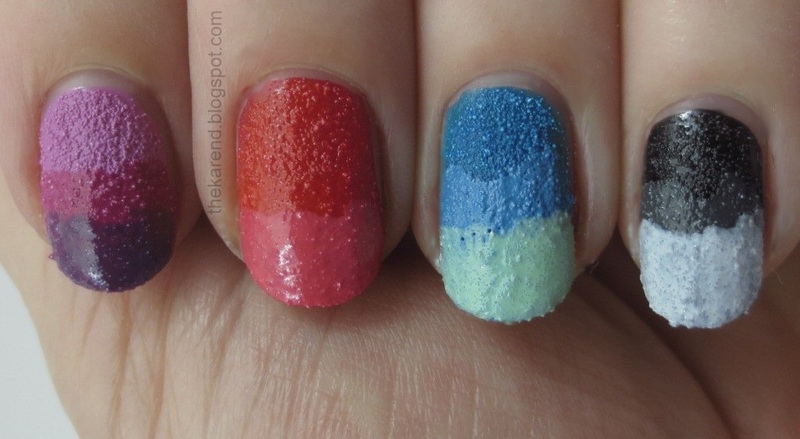 I am thinking these will be great for nail art and adding a 3 D effect. I didn't think I would like texture on my nails but then I tried 1 polish and it didn't drive me crazy and I didn't sit and pick at it like I thought I would. I did tend to rub it because I liked the texture and it is intriguing. I'm late to the party, but finally figured out what all the hubbub is about. I like the pastel colored ones! I like the first group of swatches the most! The pink is pretty. I don't think I'll ever get used to textured nails. I *love* the white! You are right, no other line has it. The closest shade I have is Fiji from Dance Legend, which I yet have to show. 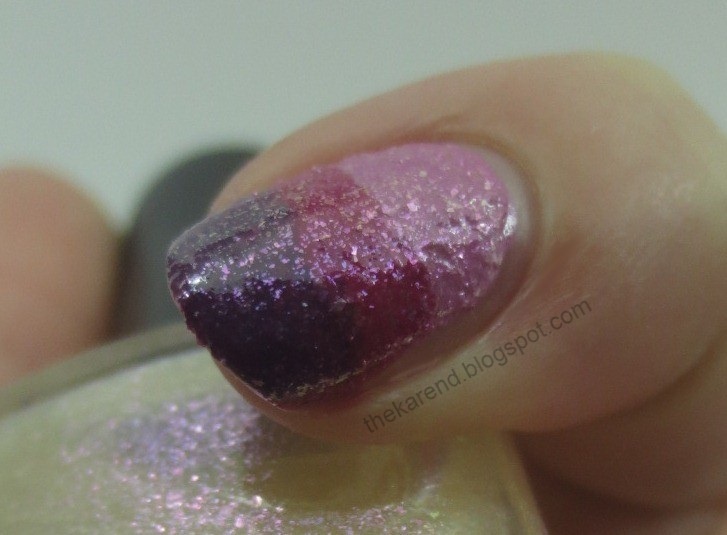 The two Barry M's I have are are close in texture - the yellow has a little shimmer that does not appear on my nails, and the pink is more pastel than Bubble Plum. And you would love the Kikos! I like the pastels. I think I like he textures with some glitter. yeah i still don't love this look without the glitter. i have sour apple and got the black one though. the black i am hoping will look like pebbled leather or something cooler than stucco. haha. Nice bright colours, but yeah... not keen on the texture. I just can't fully embrace it. 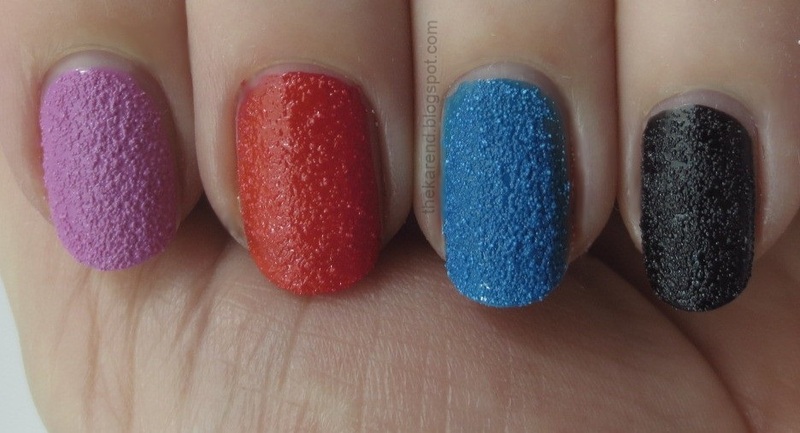 I like the nail art I've seen using the textured polishes, but I just can't get comfortable with it myself. 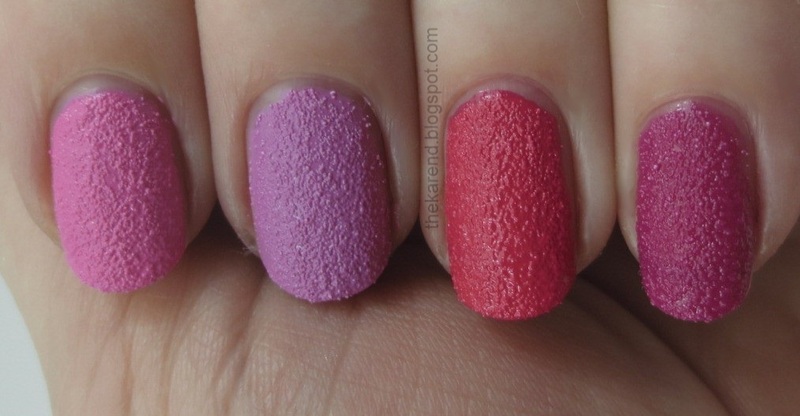 Cotton Candies and Razzleberry are my favourite :). 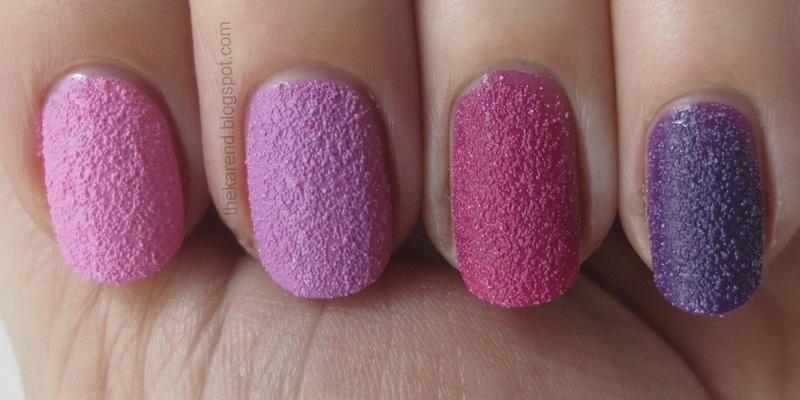 Love your posts as always, but I'm having a hard time liking these, and those fuzzy coat polishes.... I commend you on sharing your take on them!